Moving to Kyrgyzstan - Compare International Movers & Save up to 70% ! Being located in Central Asia over 90% Kyrgyzstan is covered by mountains, glaciers and clear blue lakes. Kyrgyzstan is bordered by Uzbekistan, Kazakhstan and Tajikistan and most of the population is living the nomadic live. Preparation is very important step in a long journey. It is useful to have a little information about Moving to Kyrgyzstan. The climate differs per region. In the south-western you find a subtropical climate which results in extremely hot summers in contrast to the northern foothills who are more temperate. The economy of Kyrgyzstan is mainly dominated by Agriculture and livestock raising. Cost of living is very low in comparison to other places. Intlmovers is a great way of finding international moving companies that can help you with your international move to Kyrgyzstan. You can save both time and money, because Intlmovers allows you to compare quotes quickly and easily from up to six international moving companies at once! Complete the easy request form and receive quotes directly for international moves to Kyrgyzstan. 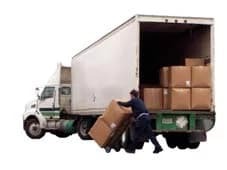 The international moving companies have years of experience with moves to Kyrgyzstan. After submitting your request using the easy to use drop down menu on top, you will be contacted back directly by the companies. They will arrange a customised quote for your international move to Kyrgyzstan. It doesn’t have to be a hassle chasing around for quotes, because Intlmovers does the work in the background for you. It won’t take you long to submit your moving request, and in that one easy request you can get six obligation free responses!